But I actually just signed up to go to a Rich Dad Education workshop next week so hopefully I’ll pick up some good tips from that! I’d love to hear your money saving/investing tips as well! I’m also excited to read Katie’s new link up starting this Friday called Final Friday Finance! I turned 28 this year and have had a lot of different jobs. I’m still trying to figure out where my passion lies and for right now I’m thinking it’s working at a nonprofit. I’ve heard Seattle is a great place for that and I’ve heard over and over again that the Gates Foundation is a dream to work for and are always hiring. I’m really looking forward to starting a new network up there and seeing where it will take me. I’m ready to start a career and be in a job I’m excited about and happy to talk about. Alright well that’s about all I’ve got for today. Can’t wait to read what you are all owing up to today in the link up. Thanks for hosting Christina! Friday Favorites: Bears, Elephants & New Link Up! I love that you guys have a 5 year plan, it’s a nice way to outline your goals! I’m with you on spending… I am so so bad. I feel like I’m always playing catch up… I think it’s time to remove the credit card from my wallet. Credit cards are so sneaky. Playing catch up is a good way to put it! Saving is hard when there are so many things you know that you NEED. I agree, Katie’s link-up will be great! Can’t wait for some useful tips! I have a bad case of wanderlust every single day and it is so hard to balance that and saving money. But finding the happy balance is the best. Traveling is no fun if you’re stressed about money. But letting too much time go by without some kind of adventure isn’t good either. At this point in my life I’d rather have the experiences than the money 🙂 Adventures and travels just fills my soul! I know what you mean with the spending. Yoga pants and workout kit is my absolute weakness! That…and food. I swear I spend so much on impulse-buying food after workouts. Fail. I feel like I always have a case of wanderlust too! Even if we just got back from a vacation or are still on vacation, I’m always seem to be dreaming and planning our next trip! I love the word wanderlust and it’s meaning, totally relate to it. Planning trips is so much fun! same on the financial front! I thought by now I’d have my dream job and everything…but still stuck in the job that isn’t what I love. 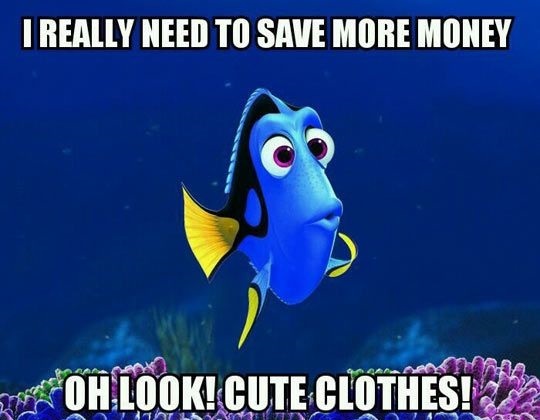 It’s also hard to not spend when some things we really need like food, but I have cut back on my clothes spending and accessories spending for the most part..
Don’t get me started on finances. I’m not great at saving either, but a lot of that lately has to do with wedding expenses! I’m so excited for the big day, but once it’s over it’ll be a relief both for my mental health and my bank account! I also have major wanderlust right now but…I need finances for that! Sigh. Whenever people tell me to go travel now, I’m like with what money?! hah (I guess you can travel there first and get a job while you’re abroad) but still. I’m so excited for your big day and to hear all the details!! It will all be SO worth every expense! !